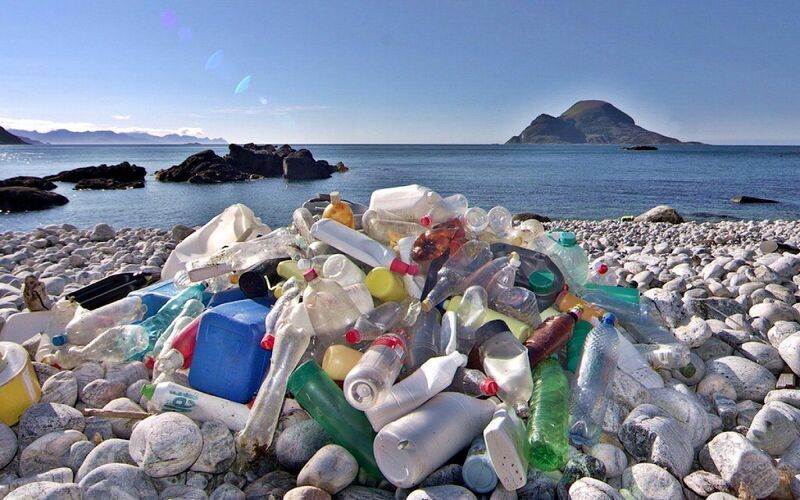 More than eight million tonnes of plastic enter the ocean each year, yet at best the biggest clean-up organisations deal with just 0.5% of that pollution. Plastic has been found in the stomachs of almost all marine species including fish, birds, whales, dolphins, seals and turtles. 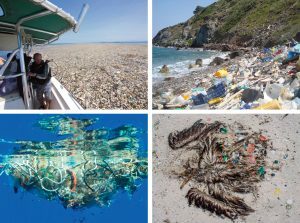 This crisis urgently demands innovators, industry and governments to develop systemic solutions that prevent plastic from becoming waste in the first place. It also needs YOU to make a conscious effort to avoid single use plastics. You can also do more yourself. Try donating to clean-up charities/organisations. This one is NOT a charity, they are for profit but actually have boats out there NOW, doing it! OR, get hands on with a beach clean-up initiative. The Marine Conservation Society regularly holds weekend clean-ups (as well the site being a mine of information). Every year, volunteers give over 1,000 days of their time. What else can you do to help preserve our oceans and environment individually? Yes, you can reduce the effects of climate change on the ocean by simple things, like leaving the car at home when you can and just being conscious of your energy use at home and work. Global fish populations are rapidly being depleted due to demand, loss of habitat, and unsustainable fishing practices. When shopping or dining out, help reduce the demand for overexploited species by choosing seafood that is both healthy and sustainable. Plastics that end up as ocean debris contribute to habitat destruction and entangle and kill tens of thousands of marine animals each year. To limit your impact, carry a reusable water bottle, store food in nondisposable containers, bring your own cloth bag or other reusable bag when shopping, and recycle correctly whenever possible. Refuse plastic drinking straws in clubs/bars/restaurants and ignore plastic cutlery in fast food outlets. Products containing plastic micro beads, one of the worst pollutants are probably of biggest detriment to marine life, have just been banned from all cosmetic and personal use products. A great step forward and one less thing for you to consider. Whether you enjoy diving, surfing, or relaxing on the beach, always clean up after yourself. Explore and appreciate the ocean without interfering with wildlife or removing rocks and coral. Go even further by encouraging others to respect the marine environment or as mentioned previously participate in local beach clean-ups. Certain products contribute to the harming of fragile coral reefs and marine populations. Avoid purchasing items such as coral jewellery, tortoiseshell hair accessories (made from hawksbill turtles), and shark products etc. Many institutes and organizations are fighting to protect ocean habitats and marine wildlife. Find a national organisation and consider giving financial support or volunteering for hands-on work or advocacy. If you live near the coast, join up with a local branch or group and get involved in projects close to home. Practice responsible sailing, cruising, kayaking and other recreational activities on the water. Never throw anything overboard, and be aware of marine life in the waters around you. If you’re set on taking a cruise for your next vacation, do some research to find the eco-friendliest option, from use of low sulphur diesel to how they tackle waste and recycling….